I would like to start by wishing all our families and the team at the Children’s Cancer Unit, as well as all friends of the Charity, a belated Happy New Year. I hope 2019 is a peaceful and positive year for you all. Last year, we experienced some great achievements and occasions at the Children’s Cancer Unit Charity. Our supporters came out in force, once again, taking to the streets of Belfast, Dublin, London and further afield – some even crossing each of the 32 counties in Ireland. Others cycled incredible distances, baked cakes, served coffee, shaved their heads, designed cook books, held concerts, sold crafts, jumped from planes (! ), all in aid of the Children’s Cancer Unit. To each and every one of you – thank you so much for your generous and kind support. The bi-annual CCUC Golf Classic was a fantastic day, supported by many local businesses who joined us for a great cause and for some friendly competition. We hope you will all join us again in 2020 and look forward to building on its success. We introduced new and easy ways to support the Children’s Cancer Unit Charity; Give as You Live and Amazon Smile to name but two. Now you can raise funds for the Unit while you shop online – another excuse to enjoy some retail therapy. We launched a new series of family events which provided opportunities for our families to create lasting memories in a fun and safe environment for our very special children. A special thanks to all those businesses and organisations that helped us put on such fantastic events at Newcastle Community Cinema, The MAC, Belfast and the Grand Opera House. Keep your eyes peeled for our calendar of events for 2019, as we hope more and more families will be able to join us. At Christmas time, we met Erin the Elf and learned of her inspiring story. So many of you joined her campaign and supported the Children’s Cancer Unit by hosting your very own Erin the Elf coffee mornings. We hope you enjoyed them as much as we did. Thanks to our friends at Flybe, some of our families were also provided with a special treat which saw them take to the skies to meet the man himself – the Santa Flight was a truly magical day for them all. Finally, while we had a successful year in 2018, there is still much more to be done. We want our Unit and our medical team to have every resource they need to ensure our young patients have access to the best possible treatment and care. We want our families to have support and feel they have someone to turn to when they are in need. That means we need 2019 to be even bigger and better for the Children’s Cancer Unit Charity. 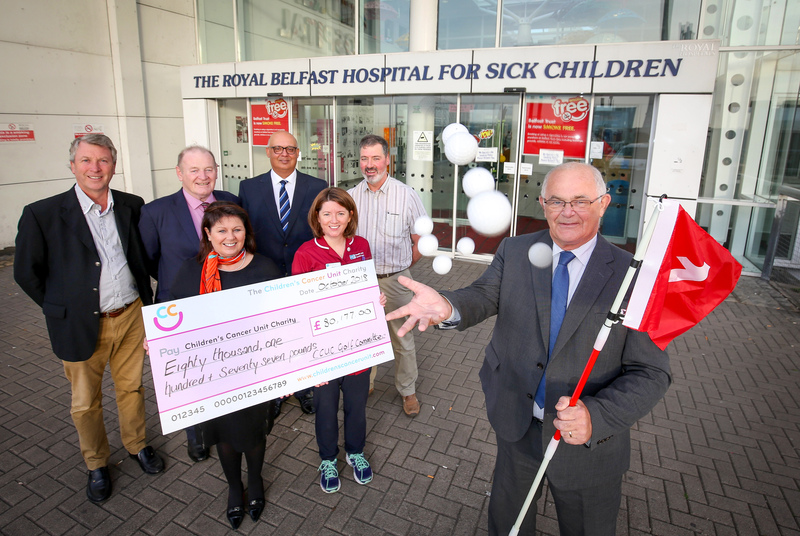 We look forward to that challenge and we hope more and more supporters – whether that is individuals, sports and community groups, corporate businesses or schools – will join us in our fight against childhood cancer in Northern Ireland. Thank you all for your generous and kind support to date.